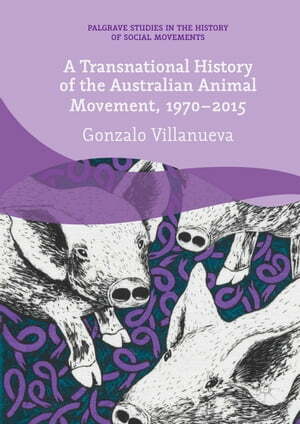 Collins Booksellers - A Transnational History of the Australian Animal Movement, 1970-2015 by Gonzalo Villanueva, 9783319625874. Buy this book online. This book offers the first transnational historical study of the creation, contention and consequences of the Australian animal movement. Largely inspired by Peter Singer and his 1975 book Animal Liberation, a new wave of animal activism emerged in Australia and across the world. In an effort to draw public and media attention to the plight of animals, such as the rearing of pigs and poultry in factory farms and the export of live animals to the Middle East and South East Asia, Australian activists were often innovative and provocative in how they made their claims. Through lobbying, disruptive methods, and vegan activism, the animal movement consistently contested the politics and culture of how animals were used and exploited. Australians not only observed and learnt from people and events overseas, but also played significant international roles. This book examines the complex and conflicting consequences of the animal movement for Australian politics, as well as its influence on broader social change.